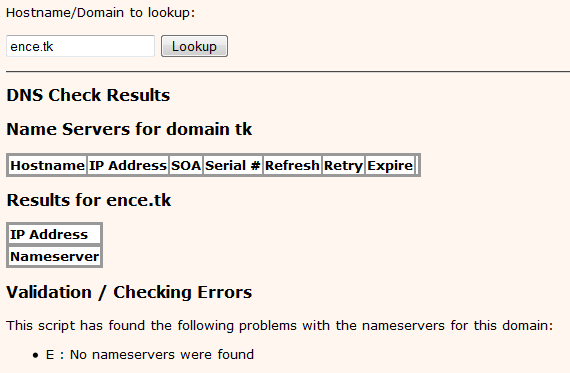 Often we need Nameserver Lookup for a domain name or IP address. It is essential for various reasons. If you own the domain name, you may require this to check whether the domain name is pointing correctly to a particular set of nameservers. If you don’t own the domain name, you might be needing this to find out the webhosting of the website so that you may lodge a abuse/copyright complaint etc. The steps are so simple. 1. Go to the online Nameserver Lookup tool. 2. Type in the desired domain name in the appropriate field and click on Lookup button. Please do not add any www or http:// before the domain name. 3. 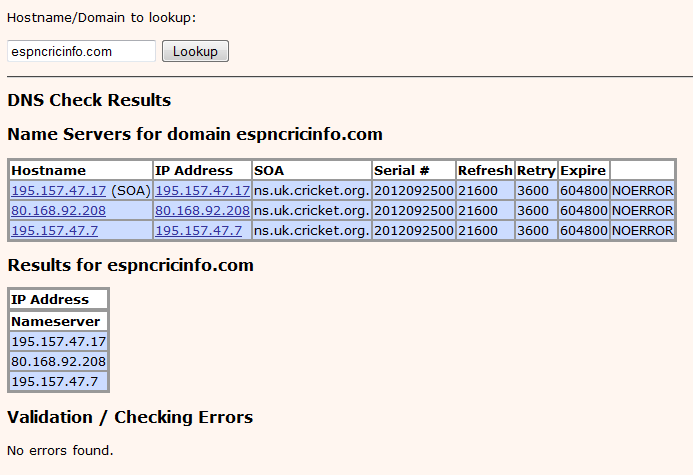 It will display the Nameservers, IP Address etc. instantly or, will notify on error. If you need more information about the Domain Name System (DNS) use any of the following services. I won’t be discussing on these online services in this post. I may do this in future. If you are in problem please ask me any questions. I will try my best to answer. This entry was posted in Domain Name, Online Service, Web Hosting.